How do I change the password for the extended networks? Step 3: Move the cursor to Settings in the top right-hand corner of the page, then click Extended Wi-Fi from the drop-down menu. 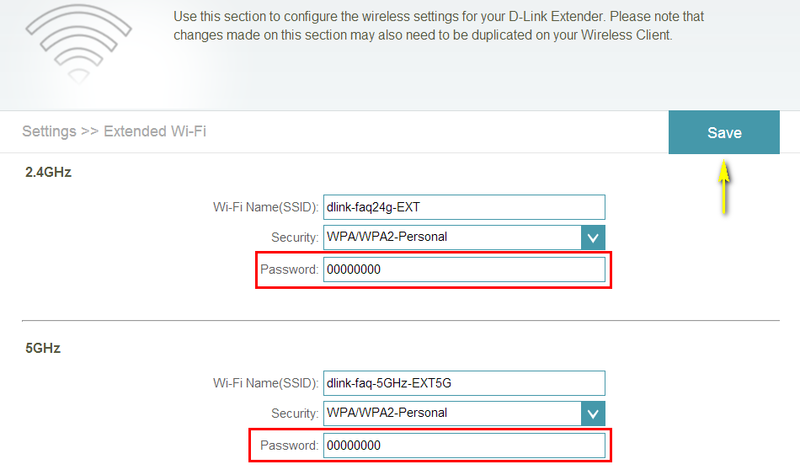 Step 4: You can specify a new password each wireless band in the Password field. Click Save once complete to save the current configuration.